The premium cigar industry is overrun with tremendous stories about family and humble beginnings. One of these sensational tales has the J.C. Newman Cigar Company at the center of it. Founded in 1895, Julius Caesar Newman’s story begins in a barn just on the outskirts of Cleveland, Ohio. 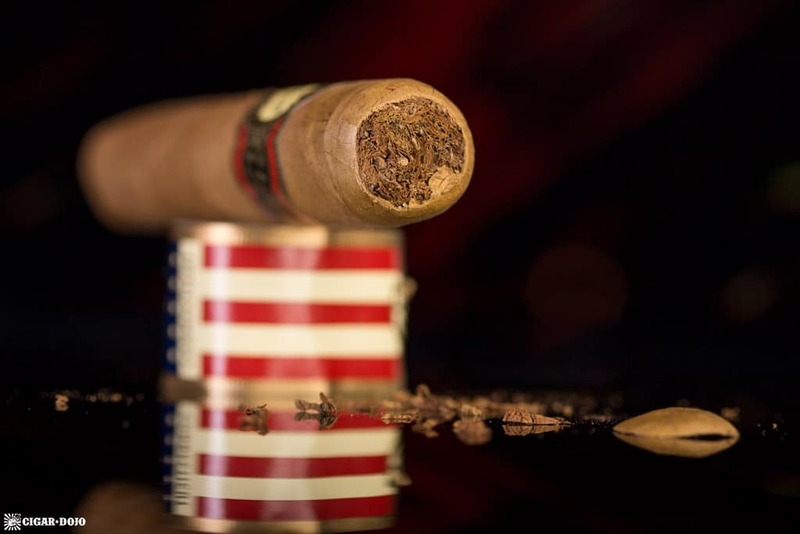 Yes, the oldest family-owned cigar maker’s beginning did not take place in Tampa, Miami, or even Connecticut, but in the heart of the American Midwest. In 1954, less than a decade before the Cuban Embargo would shake-up the American Cigar industry, Newman moved the company’s operation to historic Ybor City, Florida, to the Regensburg Cigar Factory. Over the years, Newman bolstered his position in the premium cigar world with innovative strives that have now become industry standards. Cellophane tubes, now a staple for packaging and protecting cigars that go to market, were first done by J.C. Newman. The company is also responsible for being the first to introduce cigars using Cameroon tobacco to the market after the infamous embargo. And in 2001, the company joined forces with the Fuente family to establish the Cigar Family Charitable Foundation, which has raised millions to build schools, erect medical facilities, and establish farms to benefit the children of the Dominican Republic. In 1937, Newman created the Brick House brand for his company. The name paid homage to his family’s home in Hungary. This spartan building housed the Newman family on the top floor, with a local pub, that the family ran, on the bottom floor. Of course, in 1937 the original Brick House cigars were made with Cuban tobacco. The brand faded into history until 2009, when the Newman family resurrected it using Nicaraguan tobaccos in its updated release. Since this time, the brand has expanded with added vitolas, a new maduro variant, and in late 2017, the release of the Brick House Double Connecticut. J.C. Newman keeps their continuity strong, like with their Diamond Crown brand, as the primary label is the same as the other two cigars in the series. However, this blend differentiates itself from the former by a very patriotic foot band. This secondary label features a stars-and-stripes background with the name “Connecticut” emblazoned vertically (when the cigar is stood up). The shade-grown wrapper is nearly flawless, with a creamy, brown clay color to it. No signs of oil, very few veins, and the finest tooth are evident, telltale signs that help to bolster the cigar’s premium wrapper status. In fact, some of the only visible lines on the robusto are upon the triple cap that encloses the cigar at the head. The wrapper offers aromatic hints of leather, earthy hay, and subtle notes of hazelnut. A guillotine cut is used to expose a gorgeously open, dry draw that produces flavors of more hazelnuts, coffee and cedar. I use a match to light this cigar for a more classic approach and the first thing I notice after a few puffs is there is a noticeable absence of that typical bitter, papery flavor that often comes with Shade-wrapped cigars. The leather notes that were very pronounced on the pre-light smell are noticeably gone, but replaced with a beautiful citrus component that is new. Hazelnuts are still a constant flavor, as is the introduction of peanuts and cream. These flavors are accented with a retrohale full of honey, peanuts, and pepper. 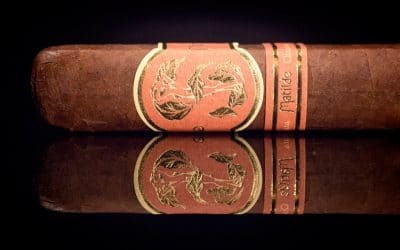 With the first hint of spice coming on the retrohale, it’s of note that this may not be the spiciest Connecticut Shade-wrapped cigar, and it is certainly not the strongest either. The draw is effortless, but in the interest of full disclosure, may be slightly influenced from my recent propensity for smoking plugged cigars. That being said, the burn is razor sharp, even after being lit with a match. Typically, I find that Connecticut Shade cigars remain lit longer without puffing than cigars wrapped in other varietals. However, I wouldn’t recommend experimenting (intentionally resting the cigar for extended periods) with this phenomenon across the board, as these types of wrappers tend to get bitter with more re-lights applied. As the cigar opens up at the halfway point, my palate is overwhelmed by all the positives of Connecticut Shade and Broadleaf tobaccos. There is almost a coconut cream flavor that emerges to mesh with the hazelnuts that have not dissipated. A noticeable leather component mixed with truffle and pepper is also apparent, attributes I don’t believe to be coming from the Broadleaf binder. The retrohale has become spicier, almost with a slight hint of poblano pepper and cream. If I let the cigar sit after each puff, the finish gradually becomes slightly longer and the honey sweetness that was more pronounced in the beginning returns ever so subtly. The final portion of the cigar becomes a melting pot of all the flavors, with only hazelnut and cream rising more often than the others. The first half of the cigar was surprisingly complex, and while the complexity has subdued, what remains is a solid and flavorful cigar that screams flavor, but still lacks in body. I will be keeping a steady diet of these in my humidor going forward. This is a terrific cigar at a non-elusive price point that can be handed out to friends and smoked on the daily routine. The Brick House Double Connecticut boasts the unique characteristic of having not only a genuine Shade wrapper from Connecticut (not common, especially in this price range), but also a Broadleaf binder from the state’s heralded Tobacco Valley. I’ve easily smoked over a dozen cigars of this blend, but this only my second robusto. That being said, it’s a vitola I plan on returning to more frequently with this blend. J.C. Newman’s unique blending alone on this cigar makes it worth the try. Come for the trial, but stay for the verdict, because you will return to this cigar again and again. Even if you are not a light-bodied smoker, this cigar’s easily enjoyable flavors will bring you back. At the very least, at this price point, the Brick House Double Connecticut Robusto is worth keeping around as a dignified gift to hand out to friends and relatives. The draw and burn are consistent within each vitola, and the creamy/hazelnut flavors sing through this line. Finally, this cigar, with its rich tobaccos and high flavor profile, makes an excellent candidate for age experimentation. Tobacconist at Michael's Tobacco of Euless, Co-Host Cigar-Coop Prime Time Special Edition with William "Cigar-Coop" Cooper & Host of #ELOsoFumarTakes; Aficionado of life's finer things. Baseball Fan 365. Husband & Father. Before all else, a Follower of Jesus Christ.